I was joking with Laura B. that she should be careful not to drop anything for the next couple of months because "pregnant women shouldn't deadlift." [Pick things up.] At which point her physician workout partner chimed in, "Because if there's one thing that's good in pregnancy, it's a weak, inflexible back." We love people who get it! ‪#‎strongmomma‬ … [Read more...] about People who “get it”. [youtube=http://www.youtube.com/watch?v=QLNmLuBGO5U&feature=youtu.be]Erly came in as a veteran CrossFitter with several years of training at another affiliate under his belt. He's obviously a strong and accomplished athlete who can lift a lot more than what you see here. But without the benefit of personalized instruction there were some obvious errors in his lifts. These small imperfections in the foundation have more far-reaching consequences as the "building" of ones' fitness rises higher … [Read more...] about Why personalize? Johnny H in the house! 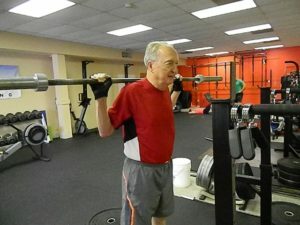 Our dear friend Johnny H has started joining us at Gateway CrossFit! Like lots of guys in their 40's he hasn't kept up with exercise as much as he'd like, and he brings his fair share of aches, pains, and prior injuries. 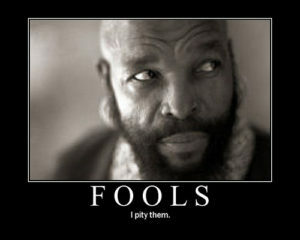 Which is to say CrossFit, and Gateway CrossFit in particular, are perfect for him! 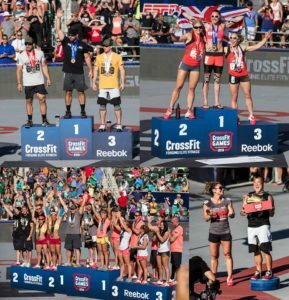 CrossFit has been in the spotlight lately for its partnership with Reebok and the CrossFit games. And yes, the extreme side of CrossFit is definitely one aspect. But just like running goes … [Read more...] about Johnny H in the house! 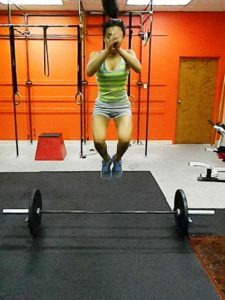 [youtube=http://www.youtube.com/watch?v=5t913HeuwXE] Olympic lifts are a perfect example of why Gateway CrossFit is a Personal Training-only facility. While they are fantastic for building almost every one of the 10 General Fitness Skills, they are also very complex movements. As such, it is best to have expert tutelage and extensive practice and skill development before they are safe and completely productive for use in metabolic conditioning workouts. Note that Tom's Clean & Jerks … [Read more...] about Why Personal Training only? When is worth it to jump from cost-consciousness to value-consciousness? Answer: when quality is the foremost concern. Things like tires, brakes, men's suits, and whiskey come immediately to mind. But what about your health and fitness? In this arena, "good enough" may be okay for some people; not us. CrossFit is the pinnacle of well-rounded fitness development, but the moves are complex. 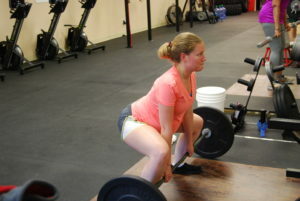 So Gateway CrossFit runs a Personal Training-only model. Consquently, we cost a little more than some. In … [Read more...] about Cost or Value?